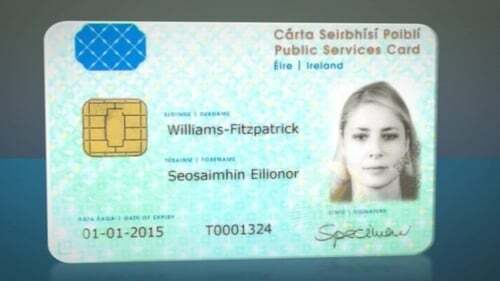 A solicitor and data protection expert has expressed concerns over the introduction of the new Public Services Card. Speaking on RTÉ’s Morning Ireland, Simon McGarr said there does not appear to be a lawful basis to make it a compulsory requirement, but compulsion is being levied on individuals to force them to get it. Minister for Employment and Social Protection Regina Doherty last week said that having a PSC is mandatory to access certain public services. "There's no legislation to say that you have to have a driving licence but you can't drive a car without having a driving licence," Ms Doherty added. "This is exactly the same," Ms Doherty went on. "There's no legislation to say that you have to have a Public Services Card and we certainly aren't going to make anybody have it, but in order to access particularly very high value public services, it's mandatory, or it’s a requirement to be able to access those services." Mr McGarr, a Director at Data Compliance Europe, said he believes the PSC is a project by which the Government can introduce a national ID card. He argues that if this is the Government’s intention, then it is important to introduce proper legislation and have a debate about the issue. Mr McGarr said the PSC contains a great deal of information. He added that irrevocable biometric information, such as a facial scan, should not be used as an ID database.